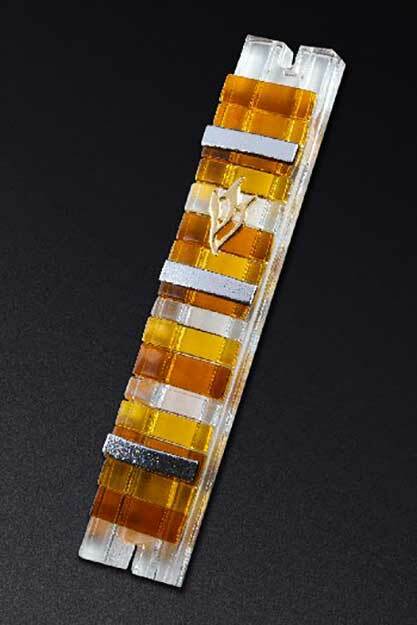 Shades of Amber Stripes Fused Glass Mezuzah Cover by Daryl Cohen. Pre-drilled holes at top and bottom will secure this piece with included brass screws. Indoor or outdoor use. No two are exactly alike. Fused and slumped at 1500 degrees of heat create absolutely amazing heart-warming color and texture creations. Measures 6 1/4" 1".